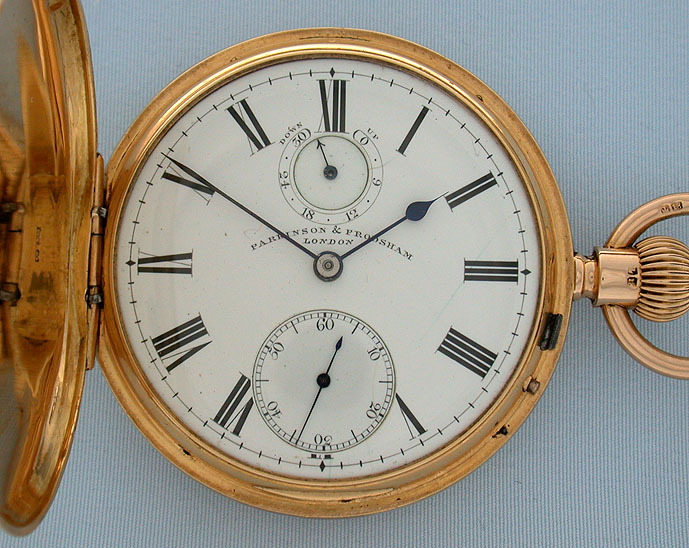 Fine and scarce English Parkinson & Frodsham 18K gold keykess reverse fusee spring detent pocket chronometer with up/down indication and duo-in-uno hairspring made by A.P. Walsh circa 1880. 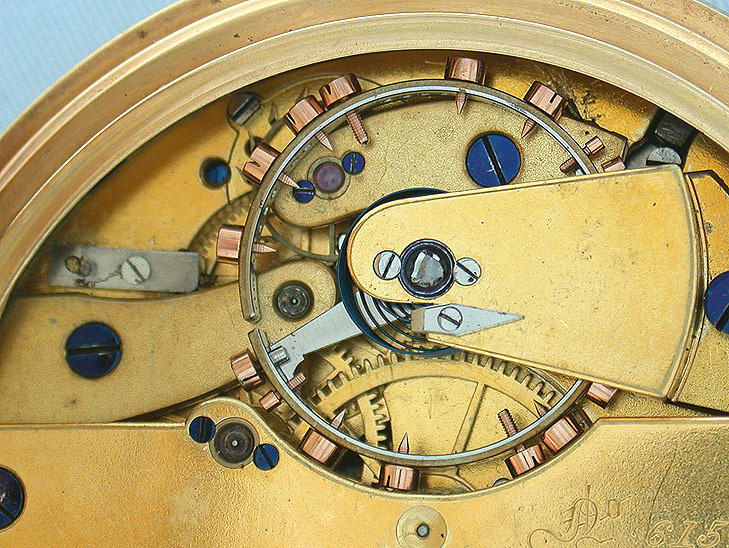 Fine white enamel dial(hairlines) with subsidiary indications for the winding indicator and running seconds. 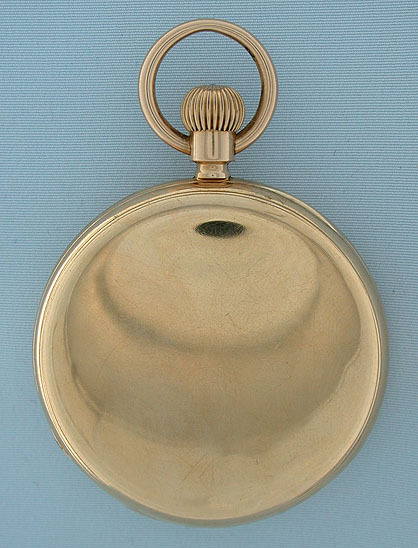 Plain polish case with wear and insignificant dings. 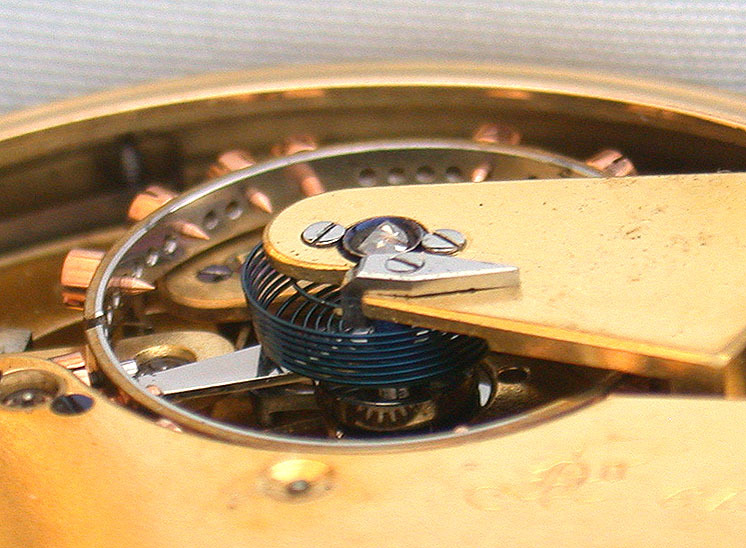 Gilt 3/4 plate movement with diamond cap jewel. 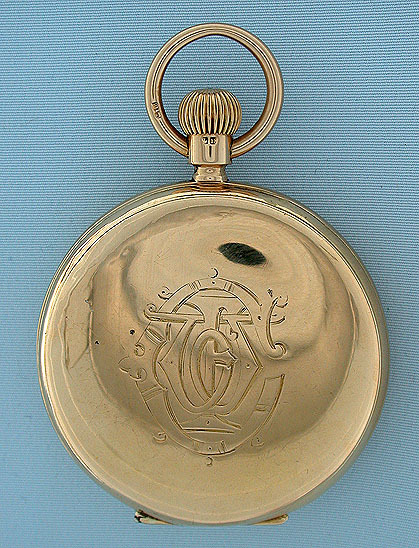 Charles Frodsham (1810-1871) was a prominent maker of very high grade watches and chronometers. 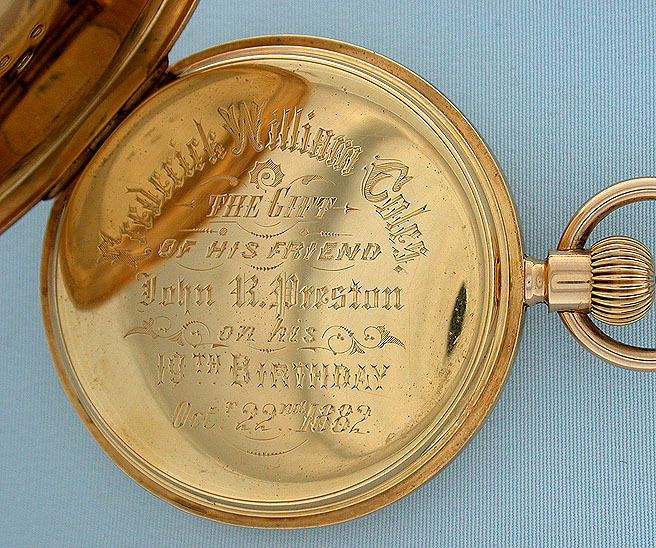 From 1779 William James Frodsham and William Parkinson formed a partnership at 4 Change Alley, London under the name of "Parkinson & Frodsham" specializing in pocket and marine chronometers. A.P. 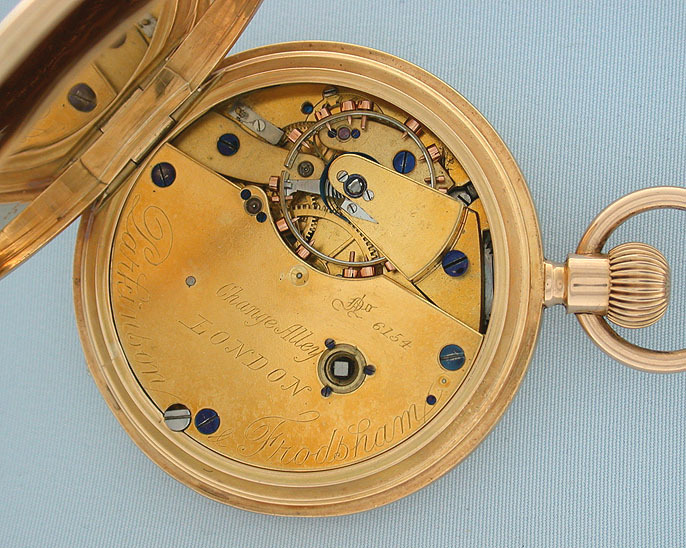 Walsh was considered to be the finest springer and pocket chronometer maker of the period.